Really interesting news for everyone that owns Antminer S9 ASIC miners and other Bitmain BM1387-based models like the Antminer R4, S9i, S9j, T9 and T9+. Bitmain has officially released a firmware to activate the so called “Overt AsicBoost” for Antminer S9 Bitcoin ASIC miners and will have the firmware for Antminer R4, S9i, S9j, T9 and T9+ within a week as well. This comes just a few days after the announcement that Braiins OS might actually bring users support for Overt AsicBoost. According to Braiins the activation of the “Overt AsicBoost” functionality on S9 can bring down the power consumption by about 13% which is more than welcome at the current market situation for any miner using Antminer S9 Bitcoin ASICs. 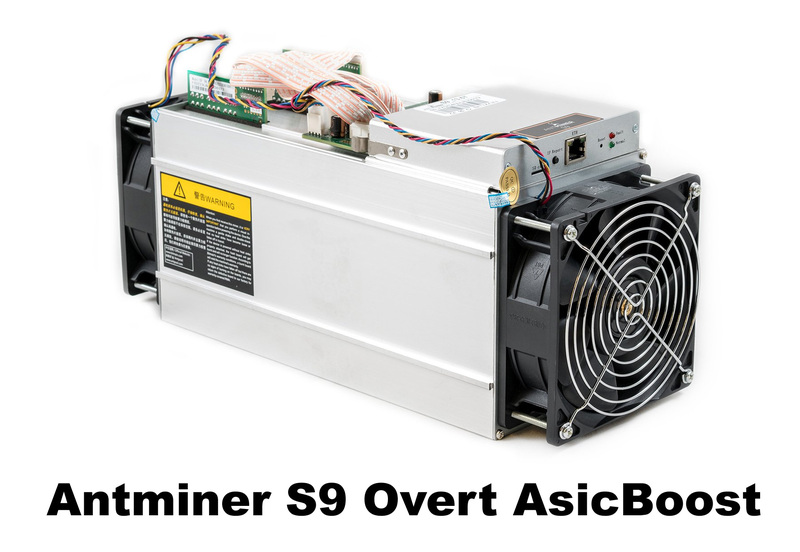 Bitmain however does not officially reveal how the new firmware with “Overt AsicBoost” affects the operating parameters of the S9, though the upgrade should reduce the power consumption for sure. If you upgrade your Antminer S9 miners to the new firmware please feel free to share your feedback in the comments below.